Our green safety checks are one of our most popular safety check colors. 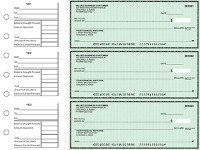 These classic green check have a plain green background. The style has been around since the beginning of the printed checks, long before checks were printed with artistic drawings. 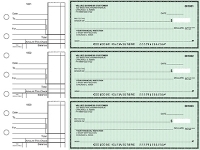 When you order green checks, you'll be sticking with a traditional look that many customers are attracted to. 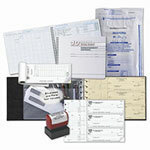 Our low prices are more than 60% less than regular bank check prices. Order today and save money. 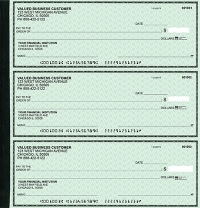 Thank you for shopping at Value Checks where you'll find we are the cheapest place to order checks online.